This Inklingo PDF includes 15 sizes. There are also Bigger Circles (2.125 to 4.5 inches). 30 SIZES IN 2 COLLECTIONS! The sizes were chosen to match up with the thin, heat resistant circle templates in Perfect Circles® by Karen Kay Buckley, available from Karen’s web site. 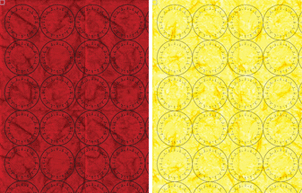 Quilters asked for Inklingo circles to print on fabric. Why trace, when it is simpler and more accurate to print? 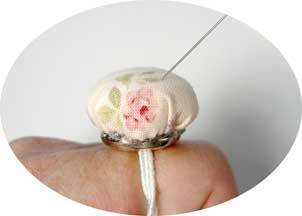 I have included instructions for one of my favorite quilting tools, the finger pincushion. 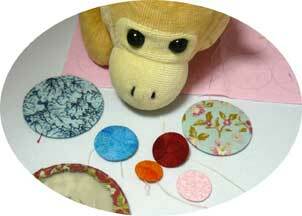 Circles are very useful to quilters who appliqué berries, grapes, and other circular shapes. Print circles on fabric for other crafts too. Perfect Circles® and Bigger Perfect Circles® are available in quilt shops and on Karen’s web site.